There are 16 air routes linking up Zhangjiajie and Beijing, Shanghai, Xiamen, Xian, Guangzhou, Chengdu, Shenzhen, Qingdao, Fuzhou, Chongqing, Changsha, etc. There are charter flights between Zhangjiajie and Hong Kong. 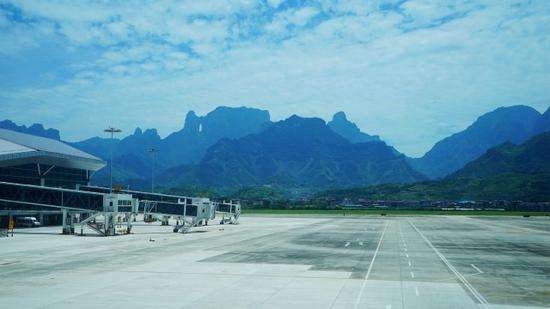 The year 2005 also witnessed for the first time charter flights between Zhangjiajie and South Korea.